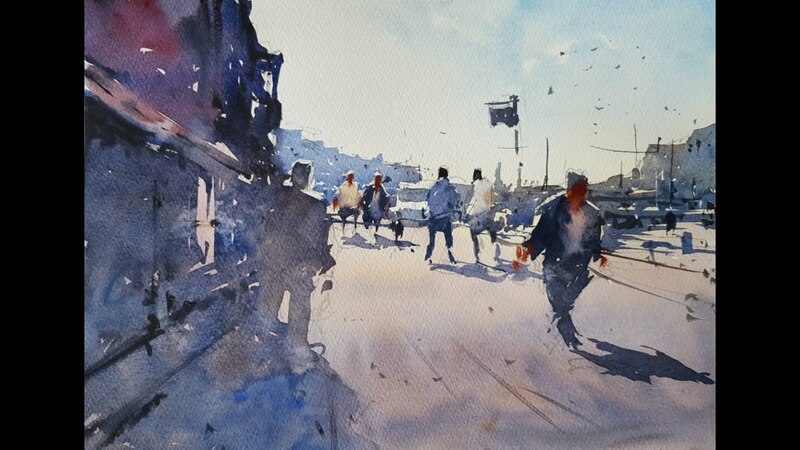 Watercolour demonstration by Tim Wilmot with people, buildings and shadows. 3) Doing the outline sketch as the first step. How to draw different figures in a street scene. 5) Shadows and details of the figures. 6) Watch out my highlighting tips.